We’ve grown many purple basils and prefer Amethyst for its gorgeously deep shade of purple, for its vigorous healthy growth, and for its true Italian Genovese taste. 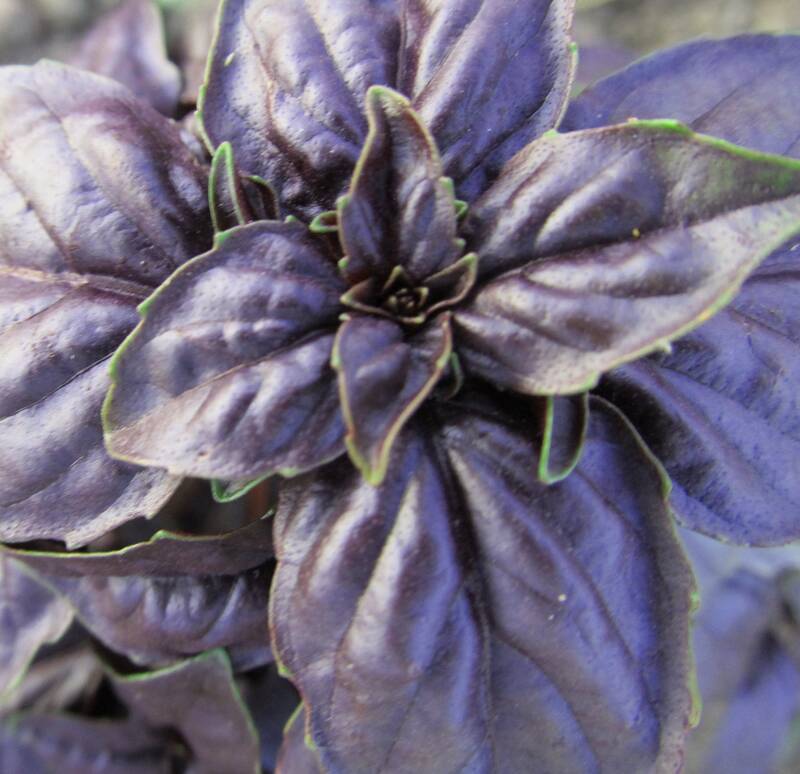 In fact it’s the only purple Genovese basil variety – and the only purple basil we continue to grow every year. Becomes a fat bushlet as wide as it is tall– keep cutting back for harvests all season. Full disclosure for anyone dreaming of bright purple pesto – purple basil turns a muddy brownish-purple when pulverized. Not off-putting, but not the same as the fresh shade – still tastes great though. When color matters, use chopped or whole leaves.